I love dressing up things in my wardrobe for a fun twist. Shoe clips are some of my favorite "dress-up" accessories, because one pair of shoes can suddenly feel like multiples! 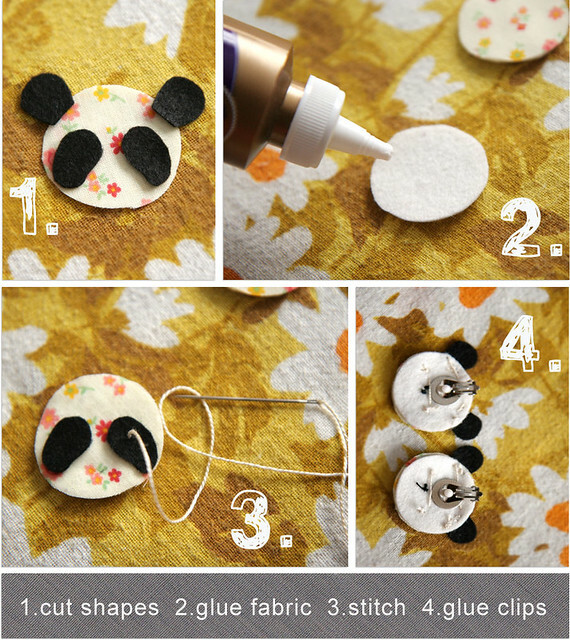 Next, you will cut out your shapes from the felt and fabric to form a panda (or any animal, really). Glue your fabric circle to a felt backing. After you have glued that, stitch on the eye patches, eyes, and ears. Now it's time for the shoe clips (earrings). I cheated and used hot glue, but you could easily sew these on if you prefer. Now, do it again! You need two matching clips! Voila! 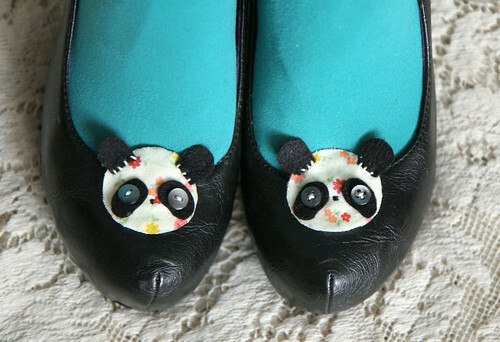 Now you have adorable shoe clips. You could use this same template with different shapes. Hearts, bows, and stars make great shoe clips! 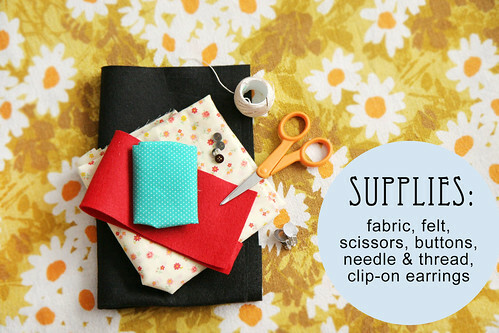 Just cut your shapes, sew or glue together, and then add your clips to the back! P.S. These are my pretty Blowfish Shoes. They are perfect for clippies! Oh goodness, what a cute idea! I have a few pairs of super plain flats and this would add so much to them. Thanks! sooo cute. the bows are my favorites... i know what i'm going to be looking for at the thrift store: clip on earrings! Aww cute- and I love your tights!! And colorful tights = win. What a great idea! 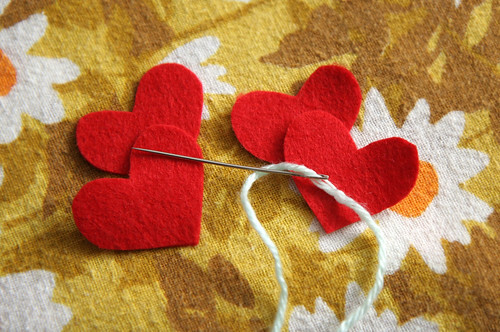 I'm definitely going to try this cute DIY once I find some clips! I have, like, 5 pairs of shoes I could use these for! I am never very crafty, but I might give this a shot! ahhhhhhhhhhhhhh!!! these clips are so so cute!!! what a cute idea, i'm surely going to try this! Shoe clips are the greatest. You're are darling. Holy adorable, this is such a cute idea. I can't wait to make some! Thank you so much, friends!!! @marmarvintage- try welovecolors.com! They have GREAT tights and a HUGE color selection!!! Seriously- can there be any more cuteness on your blog!?!?! Adorable. I know some seriously sweet little 6 year olds that would be out of bounds for these on their birthday!!!! What a great idea! I love this... it changes my shoe collection like crazy. Love those tights! 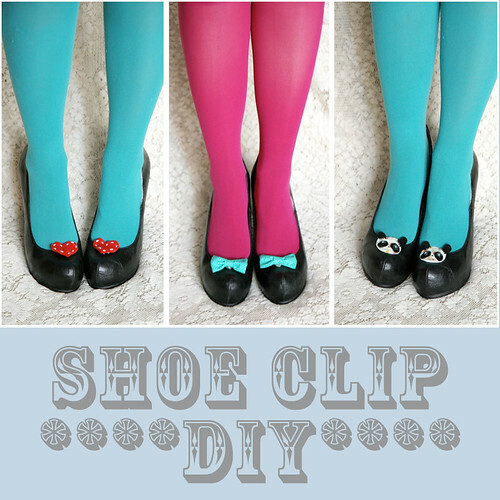 I can't wait to make my own shoe clips! This is amazing! 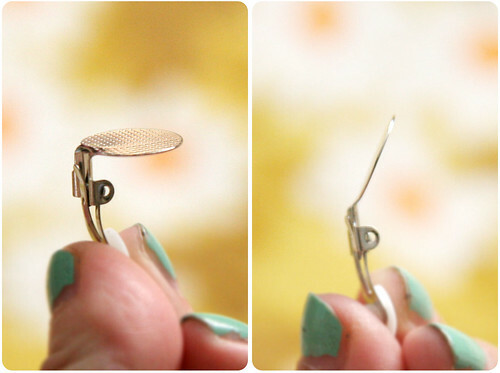 I have some crochet shoe clip designs that I have not been able to find the right clips for. I'm gonna pick up some clip on earrings backs tonight! Thanks Katie. i have been thinking about making my own lil shoe clips. thank you for this! Wow, love that idea! That way, one pair of shoes equals what, as many as you could ever imagine? Soooo pretty! I made some shoe snaps YEARS ago kind of like this. Only this is a better idea, because they're removable. The bottom snaps had to stay on the shoes I used. This is cute, I think I'll try some! I tried using the clip ons, but alas, they would poke into my foot.. But I found some shoe clip hardware on eBay! I featured a link to this over on my blog today! 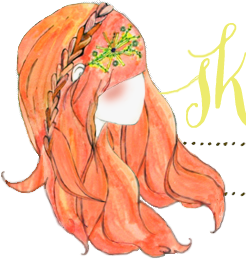 Hope you don't mind:) I love your blog, thanks so much for the DIY posts especially! nice idea... and super easy + affordable.... i'm so gonna try this..